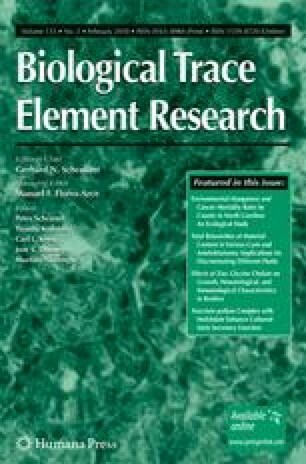 Several lines of evidence from previous studies suggest that Calcium (Ca) and Magnesium (Mg) may be involved in intracellular and interneuronal processes associated with affective disorders. However, there have been inconsistent results on the effect of Ca and Mg on depressive mood disorder. This cross-sectional study was conducted to determine whether serum Ca and Mg levels, as well as serum Ca/Mg ratio, are associated with mental health in relatively healthy, adult women without psychiatric disorders. One hundred and twelve adult women were recruited from the outpatient clinic in a university hospital setting. Serum Ca and Mg levels were measured and indicators of mental health such as depression, anxiety, and stress were evaluated using two validated questionnaires; the Hospital Anxiety Depression Scale and the Modified Brief Encounter Psychosocial Instrument Stress Scale. After categorizing the serum Ca and Mg levels, and the Ca/Mg ratio into tertiles, the mean scores on each mental health scale were compared using analysis of covariance. The risk of depressive mood disorder according to the tertiles of serum Mg level and serum Ca/Mg ratio was assessed using logistic regression analysis. Women in the middle tertile of serum Ca/Mg ratio had significantly lower scores on depression and stress scales (p = 0.004 and p = 0.007, respectively) and a lower odds ratio (OR) for the risk of depressive mood disorder (OR = 0.31, CI95% 0.10–0.93) than those in the highest tertile. The OR for the risk of depressive mood disorder was higher in women in the lowest tertile of serum Mg than in those in the highest tertile (OR = 3.92, CI95% 1.11–13.83). Serum Mg level and serum Ca/Mg ratio may be involved in the mechanism for the progression of depressive mood or stress perception in relatively healthy, adult women. The authors would like to thank TEI Korea Co. for assistance with the analyses of serum Ca and Mg.